- Nutrients for the modern lifestyle and optimal gut health. - Contains various dietary fibers for promoting and maintaining digestive health. - A balanced ratio of soluble and insoluble fiber. - Quick, easy, and convenient packaging. - Inspiration to start improving eating habits for a healthier weight and healthier body. 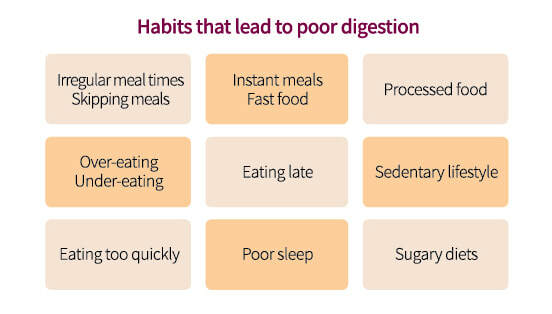 - Beneficial to the colon. - Richway & Fuji Bio’s proprietary blend of nutrients. 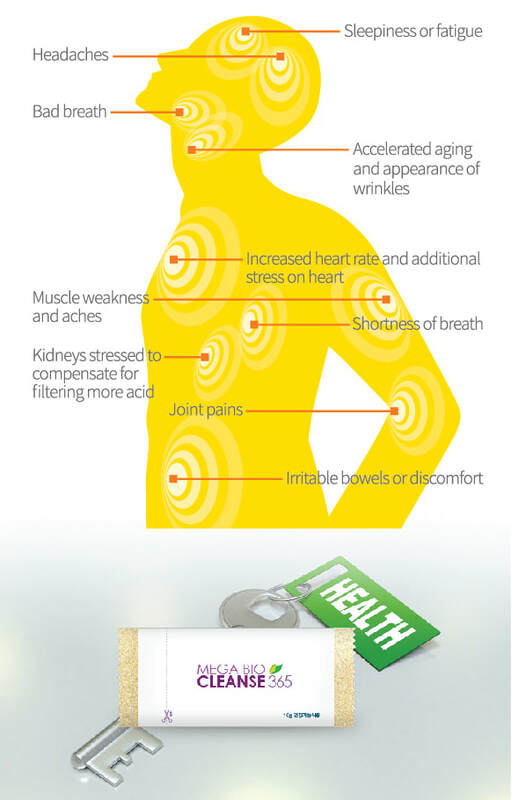 Why start your Mega Bio Cleanse today? 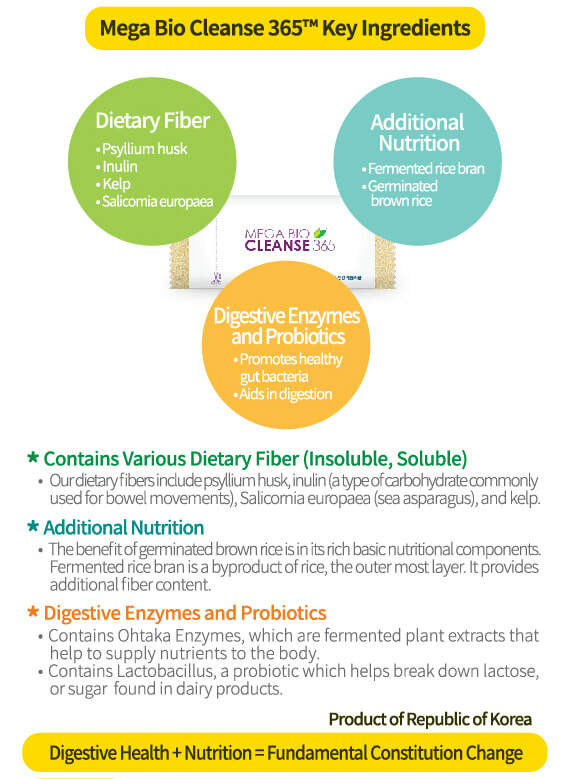 Psyllium, a key ingredient, is a gentle bulk-forming laxative. 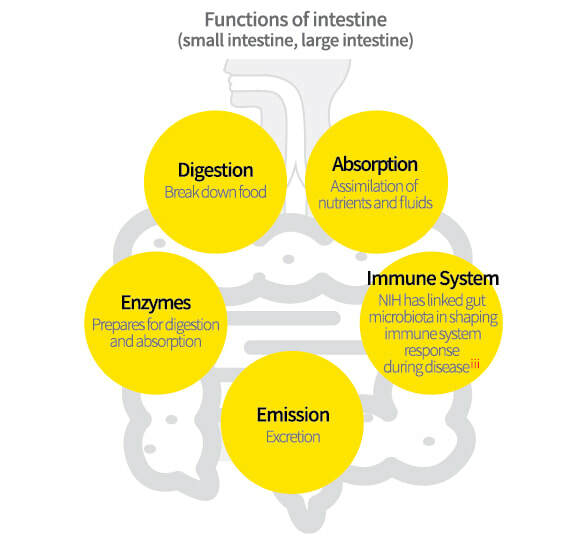 Liquids are soaked up in the gut which, in turn, helps promote bowel movements. Proper fiber intake helps clean out the toxic build-up in the intestine and may help to reduce certain health risks. 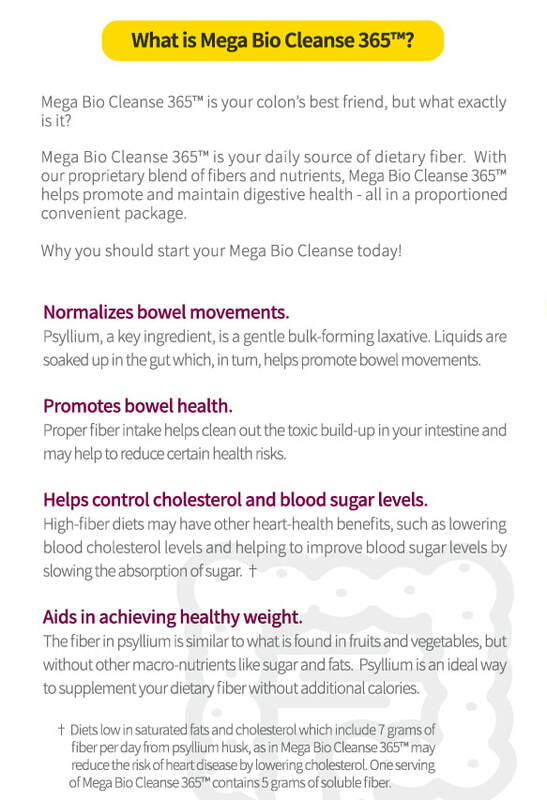 ** Diets low in saturated fats and cholesterol which include 7 grams of fiber per day from psyllium husk, as in Mega Bio Cleanse 365™ may reduce the risk of heart disease by lowering cholesterol. One serving of Mega Bio Cleanse 365™ contains 5 grams of soluble fiber. What is Mega Bio Cleanse 365?